Greenpeace is happy to announce the maiden U.S. tour of the NEW Rainbow Warrior, our very first custom-built “green” campaigning vessel. 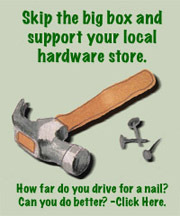 The Rainbow Warrior is doing a tour of the east coast in February. The US tour will provide an opportunity for Greenpeace supporters, volunteers and the general public to meet the newest member of the Greenpeace ship fleet, learn about our various campaigns and help celebrate Greenpeace’s 40th anniversary. 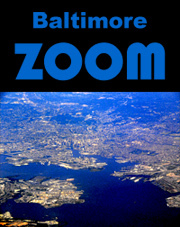 As part of the US tour, the ship will be stopping in Baltimore! 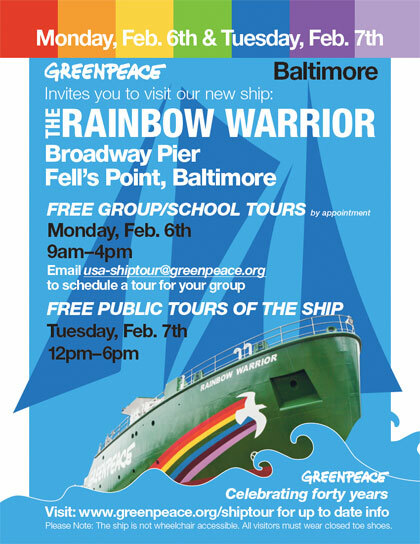 The Rainbow Warrior will be in Baltimore Monday, February 6th and Tuesday, February 7th.